MORGANTOWN, W.Va. (September 14, 2018) – Tune in to MAVTV this Saturday, September 15 at 9:30 a.m. ET and/or 12:30 p.m. ET for the ATV Motocross National Championship (ATVMX) presented by CST Tires to watch round nine – RedBud ATVMX National highlight show from Buchanan, Michigan. The tension coming into round nine was already at an all-time high as the front-runners were locked in a very tight points battle. Plus, the challenge of muddy conditions were added after heavy rain fell throughout the day Friday and lingering storms were forecasted on Saturday. When moto one took off, the AMA Pro riders were presented with fairly dry conditions. Storms would surround the track but failed to produce any rain during the first moto. What was produced though were some intense battles between Hetrick and Wienen, which were highly-anticipated since the National Championship was currently on the line and only one round remained. As much as the weather cooperated in the first moto, it would quickly have a heavy impact on the second moto. As race time approached the rain began to fall, making for a demanding track into a slick and a challenging final moto. 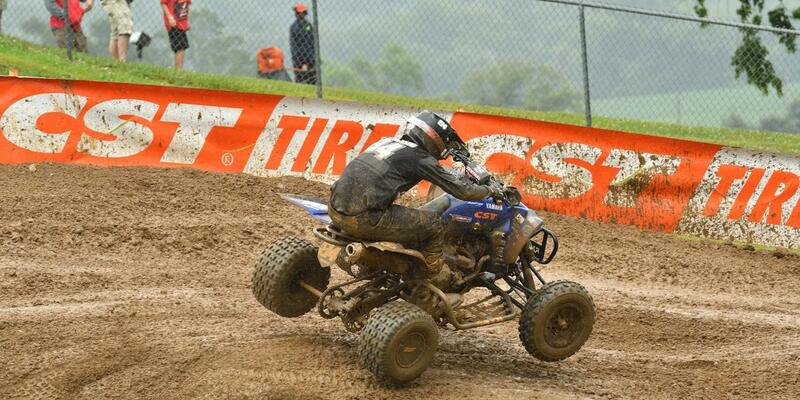 Rastrelli jumped out front claiming the second SSi Decals Holeshot Award. A mass number of racers came together in the slick conditions as they rounded into the second corner, then as the riders cleared it was Wienen still visibly sitting feverously trying to get his machine going again. 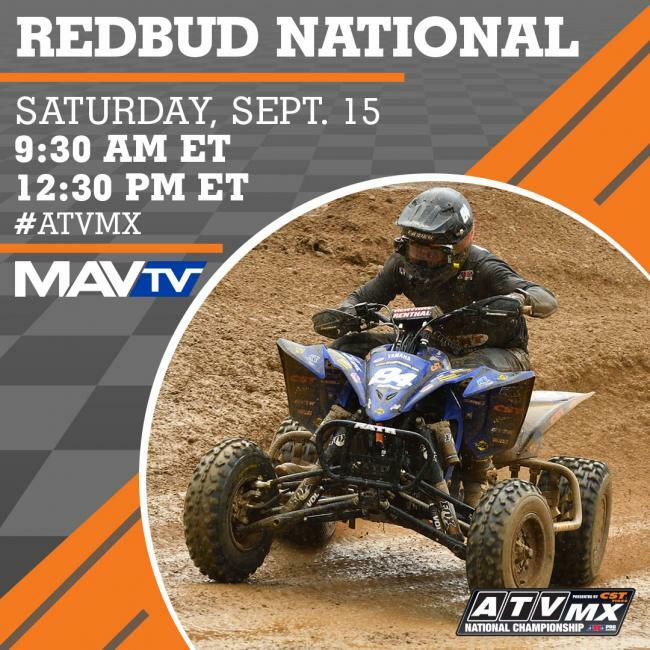 Tune in at 9:30 a.m. on Saturday, September 15 to see how round nine went from RedBud MX in Michigan. There will also be a re-air at 12:30 p.m.